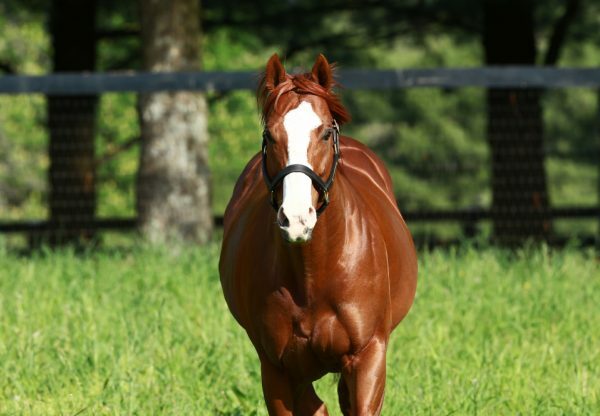 Champion North American Second Crop Sire for 2015, Munnings started the New Year in a winning vein when King Kranz (3c Munnings x Queen Congie, by Henny Hughes) captured the $122,500 Lost in the Fog Stakes at Aqueduct. 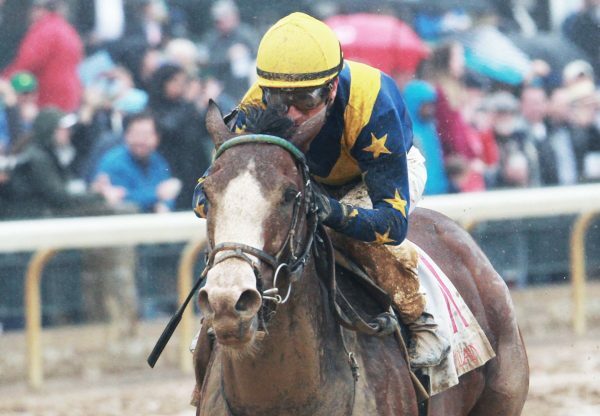 Grade II placed last year at two when placed in four of his five starts, the John Terranova trained colt quickly addressed the lack of a win on his resume when stalking the lead and then forging clear to win the six furlong contest by a length. "It was frustrating last year [going winless in five starts] but at least he started off the New Year right,” commented Tonja Terranova, assistant to winning trainer John Terranova. “We just left it up to Cornelio [Velasquez]--he had the perfect draw, and could position himself wherever he needed to. We had worked him in blinkers, and it seemed to focus him more. 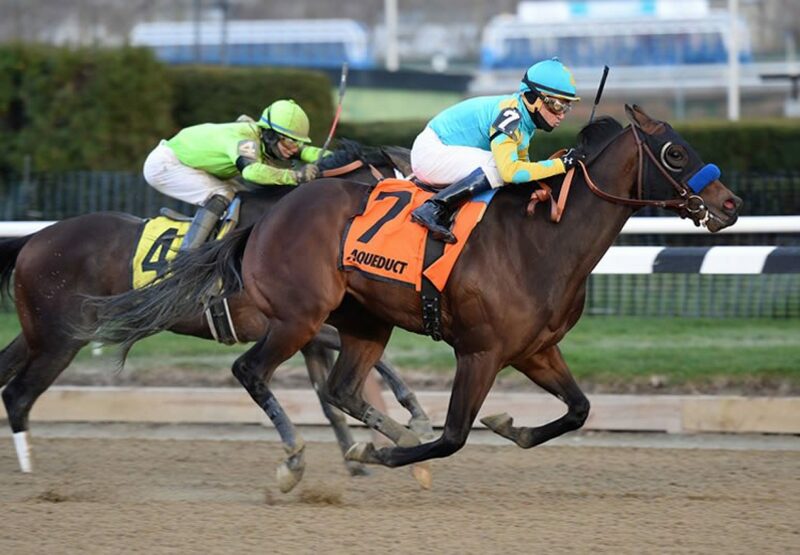 Cornelio said today he was in the bridle the whole way.” Running for Zayat Stables, King Kranz has now won over $146,000 in prizemoney and was a $95,000 OBS March 2YO Sale purchase. He is the first winner for Queen Congie, a half-sister to grade I placed stakes-winner King Congie. King Kranz is the 14th stakes-winner for Munnings, who goes from strength to strength.